Greetings friends and fellow crafters. LeeAnn here with another foil project with Creative Vision Stamps. I had this fun paper from the DCWV Kidosaurus paper pack and just knew it would be perfect for this project. 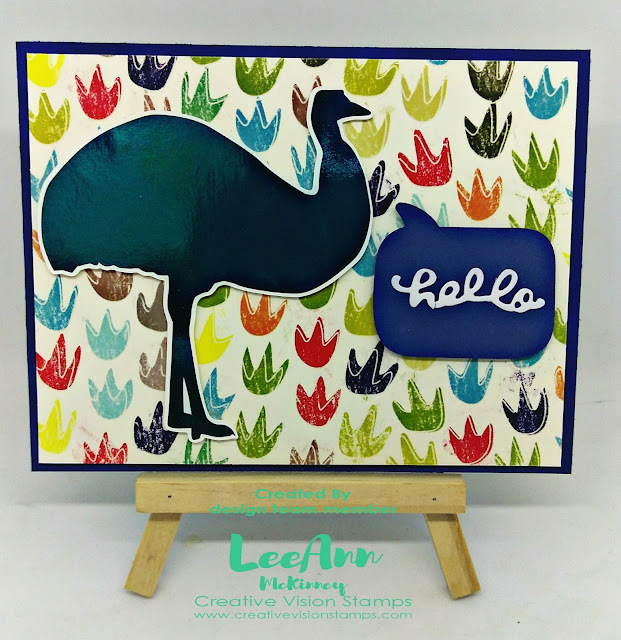 My image is from the Animals Foilable pack and I used Seaside Cabana Blue Foil. The sentiment is a die from my stash.